There are currently some major changes in conditions of employment that will influence the ability of individual teachers and instructors to deliver the kind of teaching needed in a digital age. The most obvious is class size. Although some economies of scale are definitely achievable through the use of technology for teaching (see for instance, Bates, 2013), and there is no magic number as to how many students there should be per teacher, we have seen in earlier chapters that instructor presence and the interaction between subject experts and students are critical factors in developing the knowledge and skills needed in a digital age. Although technology can replace the need for instructors for the transmission of content, the need for ongoing communication between teacher and students for deep understanding and the development of skills, means that there soon becomes a limit, in terms of the number of students per instructor, beyond which the teaching rapidly starts to become ineffective, at least in terms of the knowledge and skills that matter most (Carey and Trick, 2013). Thus the major challenge is in universities and some large two-year colleges, where first and second year classes can number in the thousands, and even in third or fourth year classes, in the hundreds. What can be done to ensure that teacher student ratios are kept to a manageable size? Institutions have taken a number of different approaches to this challenge. One of the biggest changes to universities in North America over the last twenty years has been the growth of non-tenured teaching faculty in universities. An explosion in undergraduate enrolments across Canada – 400,000 more students from 2002 to 2012 – has come without a corresponding increase in tenure-track faculty. While the number of instructors doubled between the 1980s and 2006, there was a decline of 10 per cent in tenure and tenure-track faculty (Chiose, 2015). The position is, if anything, even more dramatic in the USA, where universities and colleges were much harder hit by the economic crisis in 2008 than their Canadian counterparts. Canadian universities say they can no longer afford to deliver higher education through tenured academics who may spend more than a third of their time engaged in research. Instead, most universities have decided that, to staff their classrooms at reasonable cost, they must turn, in varying degrees, to contract instructors and teaching-track faculty. Contract staff such as adjuncts or sessionals usually have either a doctoral degree in the subject area, or strongly related work experience for more vocational subjects. In Canada, the union representing contract instructors (CUPE) is fighting to get multiyear contracts for sessional instructors who now have to reapply each year for their jobs. Ideally, the union would like universities to give sessional instructors priority for teaching-track jobs, which do not have tenure, but have more job security than contract positions. With job security can come opportunities for training in teaching. However, an even more alarming development in recent years has been an increasing tendency to use post-graduate students as teaching assistants, often responsible for delivering lectures to 200 students or more in first and second year courses. This model is also being increasingly used where institutions are moving to a hybrid model, combining both online and face-to-face components, especially where a former very large lecture-based course is being redesigned for hybrid learning. Even including the TAs, the instructor/student ratio is often 1:100 or higher for these large enrollment courses. There is usually no additional training for TAs about how to teach online, although in many – but by no means all – cases, they do get some kind of training in teaching face-to-face. With fully online courses, though, a different model has often been used where the instructor:student ratio has been deliberately targeted at under 40 for undergraduate courses, and under 30 for graduate courses. Scaling up has been handled by hiring additional part-time adjunct or associate professors on contract. The adjuncts would be paid to take a short online briefing course on teaching online which sets out the expectations for online teaching. This was an affordable model because the additional student tuition fees would more than cover the cost of hiring additional contract instructors, once the course was developed (Bates and Poole, 2003). However, this has been possible because most of such online courses have been aimed mainly at higher level undergraduate students or graduate students. With both blended and online courses now being targeted at large first and second year classes, new models are being developed that may not have the same level of quality as the ‘best practice’ online courses. MOOCs are (wrongly) giving the impression that it is possible to scale up even credit-based online learning at lower cost, by eliminating learning support provided by tenured faculty. faculty and especially faculty unions will see online learning and blended learning being used by administrations to cut costs and over time to reduce the employment of tenured faculty, and will therefore try to block its implementation. Why can’t TAs provide the support needed online if they can do this for face-to-face classes? First, it is arguable whether they do provide adequate support for students in large first year classes, but in online courses in subject domains where discussion is important, where qualitative judgements and decisions have to be made by students and instructors, where knowledge needs to be developed and structured, in other words in any field where the learning requires more than the transmission and repetition of information, then students need to be able to interact with an instructor that has a deep understanding of the subject area. Thus there are good reasons to hire adjunct faculty to teach online or in blended formats, but not TAs in general (although there will always be exceptions). teaching subsidizes research: too often tuition revenues get filtered off into supporting research activities. The most obvious case is that if teachers spent more time teaching and less doing research, there would be more faculty available for teaching. Teaching loads for experienced, tenured faculty are often quite light and as stated above, focused on small upper level classes. 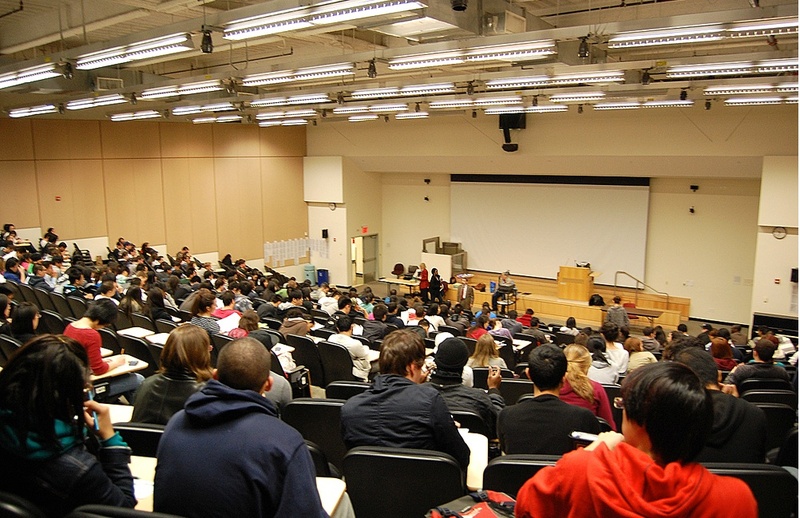 A report from the Higher Education Quality Council of Ontario (Jonker and Hicks, 2014) suggested that if professors whom it has classified as laggards in research doubled their teaching time, it would be the equivalent of adding 1,500 faculty members across the province, enough to staff an additional mid-sized university. school teachers, well trained in general teaching methods, but few with training specifically for teaching in a digital age. The reasons for and the significance of this increasing diversity of teachers and instructors is beyond the scope of this book. Nevertheless, without some kind of job security there is little opportunity or incentive for training in new technologies and teaching methods. 12.4 Conditions of employment by Anthony William (Tony) Bates is licensed under a Creative Commons Attribution-NonCommercial 4.0 International License, except where otherwise noted.